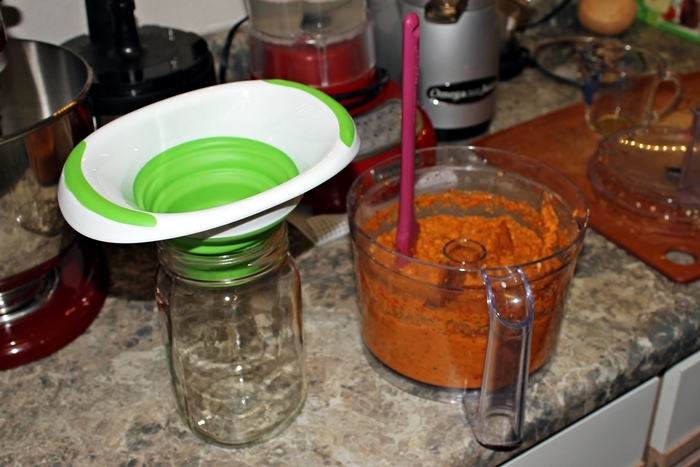 We made our own chili garlic paste recently and it’s wicked good. 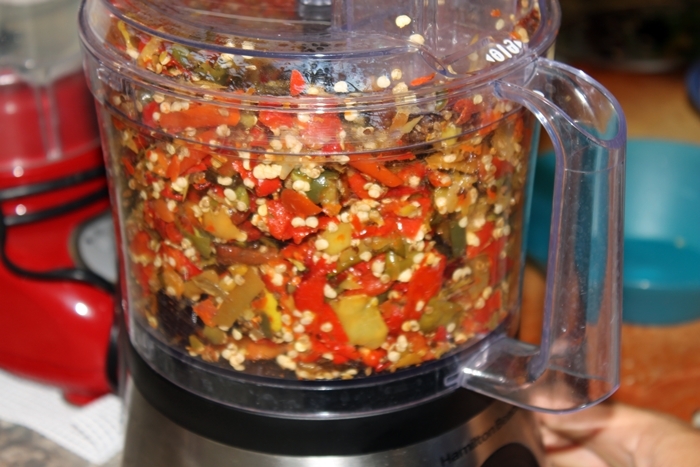 It is packed with fresh garlic and a myriad of hot peppers that give it a real “peppery” flavor that our typical store-bought chili garlic paste lacks. Here’s the skinny on what we did. 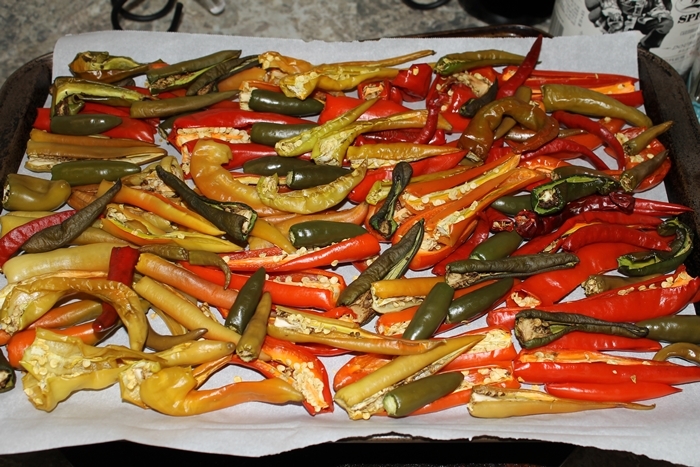 First, we dried out our peppers as best we could in the oven on 250 degrees, for 5-6 hours. I wouldn’t say there’s a fine art to this. We just wanted to dry them out some but not cook them or burn them. So it took a lot of waiting and checking until we felt they were the way we wanted. 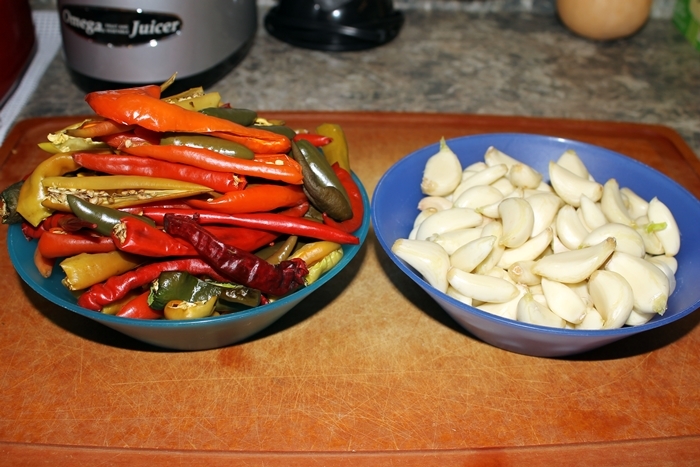 We let them sit out and cool a bit while we peeled our garlic. 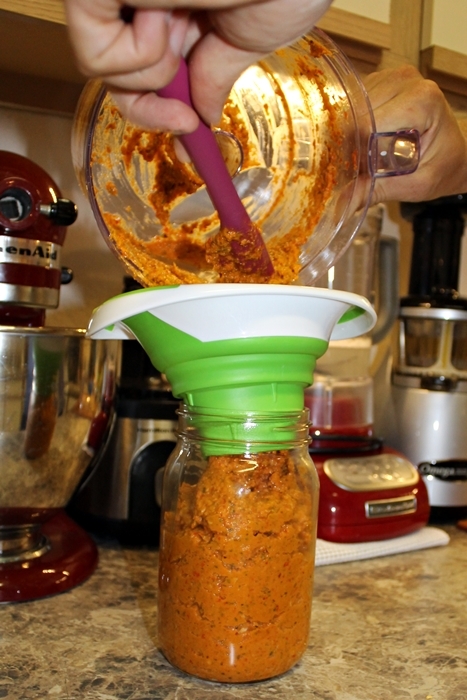 Don found this great tip on youtube which actually works and saved us a ton of time. We mimicked the illustration using our largest soup pan, placing the garlic inside, and with the lid on, shaking the ever-living dickens out of the pot. I have to say, Don was more effective than me. You have to shake that baby hard. 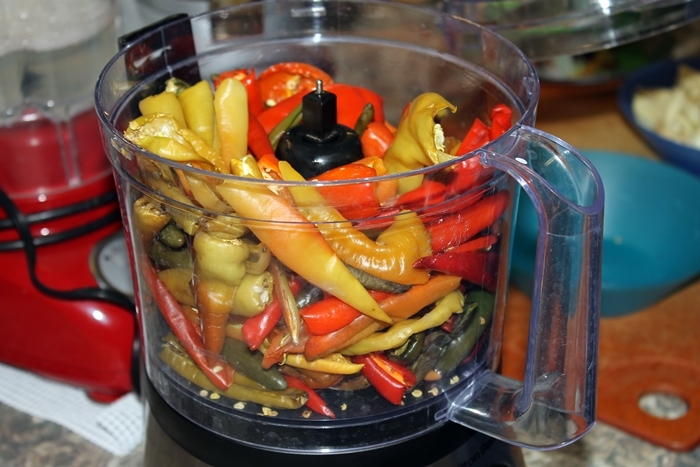 Next, we chopped the peppers in the food processor. 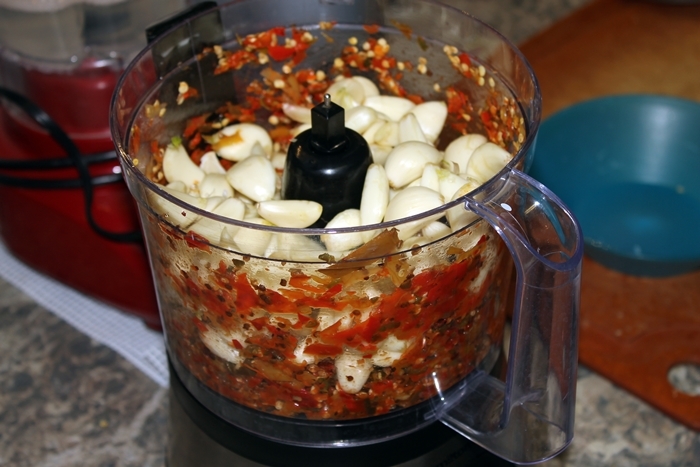 Then we added the garlic. Then we added everything else. In slightly smaller increments. Took a taste. 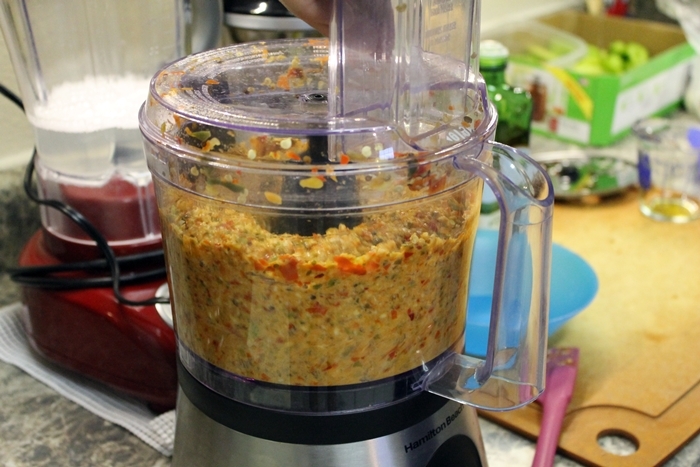 Added a little more of this or that until we got the consistency and flavor we wanted. 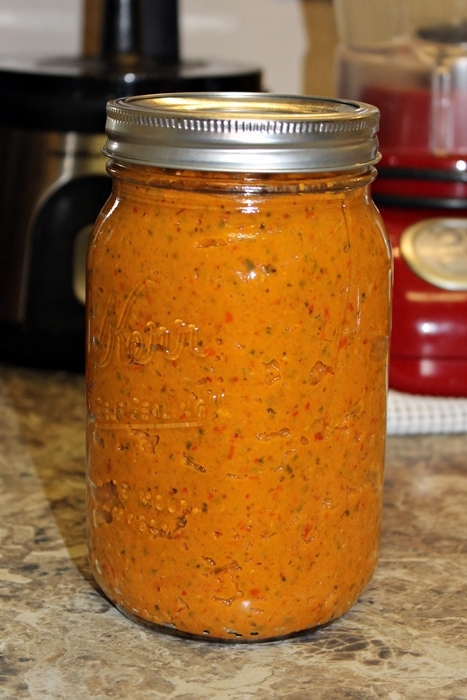 Presenting our first ever home made garlic chili paste. YUM! Leap and the net will appear.